Haven't taken control of your Google My Business Listing? Do it now! 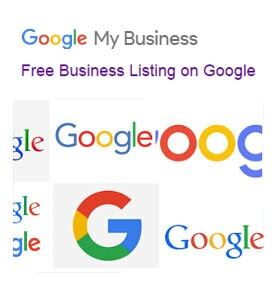 Google My Business a business listing tool for getting your business seen online. If you have a Google Local Business Listing here are some things you can do to gain ground over your online competition. 1. Photos – Add as many photos as you can and a company logo. 2. Google Reviews – It’s important that these be from real customers or clients. Email or call your clients and ask them to post a review. 3. Use Keywords in Your Company Description – They offer an area where the business owner can describe what their company offers. 4. Use Keywords in Company Name – Don’t be deceptive by changing your company name, but if your keywords are used in other marketing collateral then it is applicable to your business listing. For example instead of ‘Wally’s Shoe Repair’ Wally’s Virginia Beach Shoe Repair Shop. 5. Create links to the listing – Add a link from your homepage to the listing and encourage current customers or website visitors to review your company. 6. Add Videos – If your company already has videos on You Tube you can upload these to your listing. You Tube videos help search engine ranking too! 7. Add Multiple Locations – Create multiple Google Local Business listings for all your locations. Even if you have multiple store or office locations in a single city you should still register these locations with Google Local. Reminder: Don’t forget to encourage your clients and customers to drop by your online listing and leave you an online Google review.